Taking a cue from overseas e-mail scammers, local thieves and ne’er-do-wells have decided they want to get in on the action. These folks will call your office posing as potential clients or perhaps bar staff. While the story may vary, the goal is always the same: con the lawyer out of money. The “client” or “opposing party” presents a counterfeit check or money order. Once you deposit the funds, the “client” begins leaning on you to wire proceeds. NEVER WIRE MONEY under these circumstances. Follow the advice of the FTC! Wiring money is like handing someone cash. How Can You Spot a Phake Client Caller? Remember, you can always take down information, hang up, then initiate your own call to the bar association (or any other business a suspicious caller purports to represent). A “client” out of the area writes a letter asking for help collecting a debt from an Oregon-based company. The debtor company is real. The “client” may even represent that he or she was referred to you by a legitimate referral source. You bite and send out a retainer agreement sight unseen. (Yes, there have been instances where Oregon lawyers agreed to represent clients they never met.) Now the scam is afoot. Soon you receive a check from the alleged debtor. Your “client” instructs you to deposit the check and to wire the funds, minus all fees, to an overseas bank account. Weeks later you learn the check is counterfeit. Lawyer meets with new “client” who presents a retainer check. Lawyer waits for check to clear before beginning work on the “client’s” case, but soon after presentation, “client’s” check bounces. Lawyer thinks: no harm, no foul since I did no work on the matter. The following month, lawyer discovers fake checks written on his trust account and cashed out-of-state. Lawyer surmises the scammer was his new “client” whose retainer check bounced the month before. 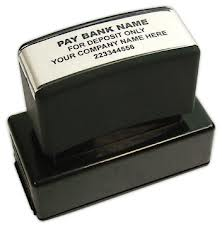 Be especially wary of cashier’s checks drawn on banks from outside the United States. Some banks recommend that businesses reject such checks, and require instead that overseas clients or payors wire funds. This entry was posted in Fraud Prevention, IOLTA, Office Systems, Technology and tagged Beverly Michaelis, fraud, IOLTA, lawyer trust account, Office Systems, Oregon law practice management, scam, Technology by beverlym. Bookmark the permalink.